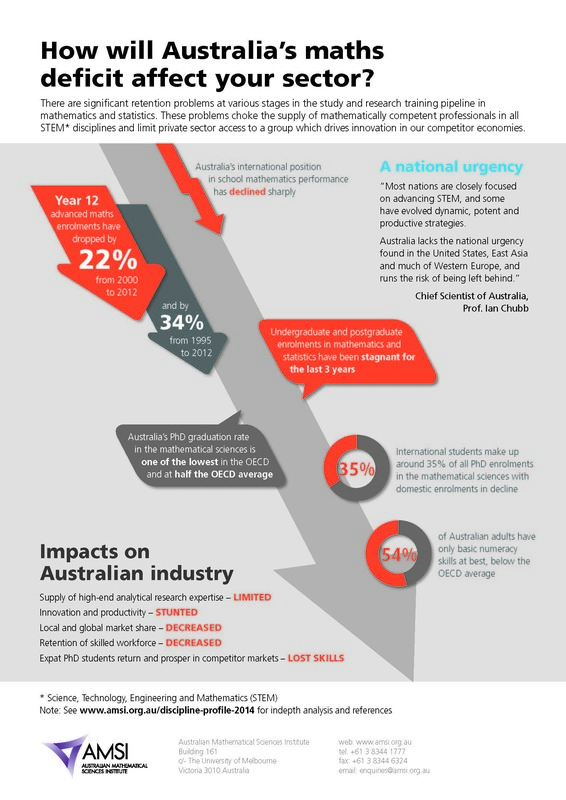 Publications » Industry: How will Australia’s maths deficit affect your sector? 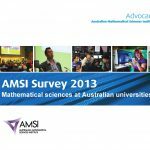 There are significant retention problems at various stages in the study and research training pipeline in mathematics and statistics. These problems choke the supply of mathematically competent professionals in all Science, Technology, Engineering and Mathematics (STEM) disciplines and limit private sector access to a group which drives innovation in our competitor economies.